No offense to the owners, but a lot of the customers at Foster Road bar Starday Tavern—self-dubbed “the most OKest bar”—are just coming in to see the dog. 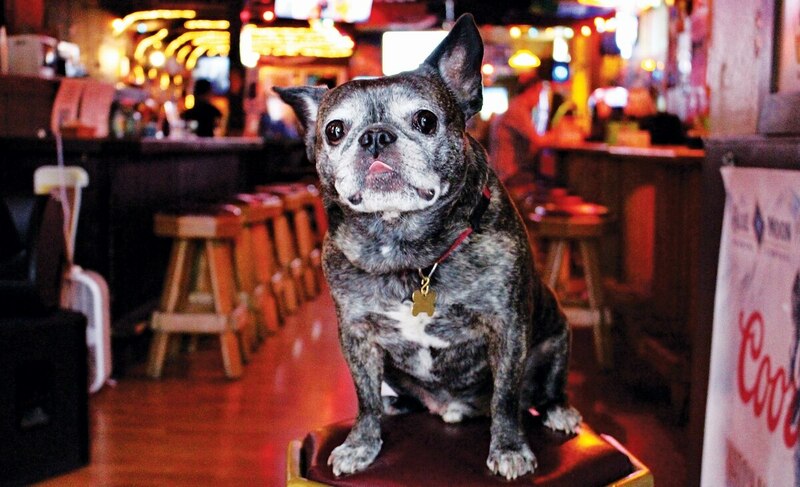 No offense to the owners, but a lot of the customers at Foster Road bar Starday Tavern—self-dubbed "the most OKest bar"—are just coming in to see the dog. "Ghengis is the real core of this place," say Keith and Cassie, two frequenters of the bar. His picture on the Starday's coasters and T-shirts seems to bear this out. 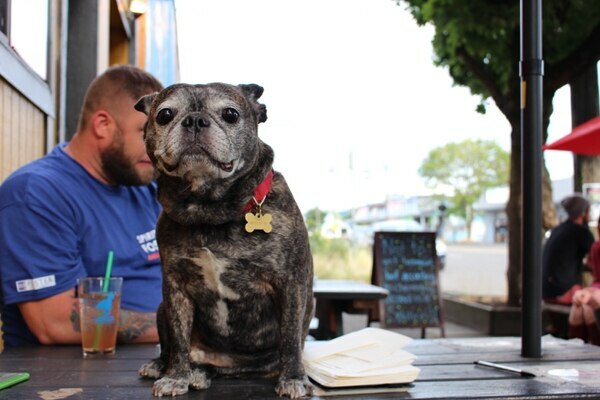 The 10-year-old French bulldog-pug mix has been the star of the tavern since new owners came in over a year ago. Co-owner Justin Amrine was the only person working shifts, and he got lonely behind the bar. Ghengis and Amrine now pull four to five evening shifts a week together. When Ghengis isn't by the door, near the bar, or outside with the smokers, he'll be in the red booths, getting all the love rubs and attention. As soon as one customer stops petting him, he moves on to the next booth. "He works the crowd," says Amrine. "He's an equal-opportunity lover." But a lot of Ghengis' visitors are the dogs of other customers. On a given night, usually ones without live music, four to five dogs can be seen in the bar. Ghengis has apparently already met a lady named Eggroll—a 9-month-old Frenchie. Both greet each customer as soon as the door handle dings. "At the end of the day, we all have holes in our hearts for lots of different reasons. And Ghengis fills that hole for lots of different people, every single day. That's his job," says Amrine. Ghengis will celebrate his (belated) 10th birthday at the bar from 4-8 pm, Sunday, July 17. All are welcome. 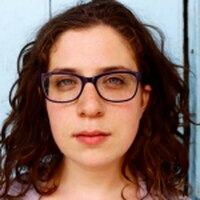 Ellena likes radio journalism, writing, hiking, dogs, and is a Portland native. She studies Psychology and Women's Studies at PSU.